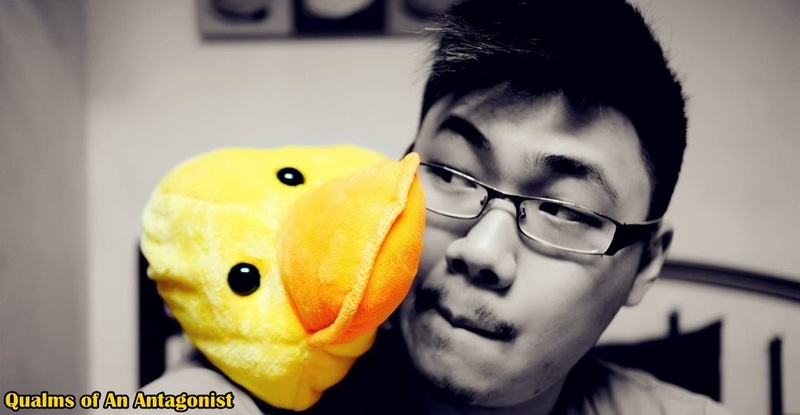 Qualms of An Antagonist: Carlsberg CNY 2014 Consumer Promotions with more than 80,000 Giveaways! Carlsberg CNY 2014 Consumer Promotions with more than 80,000 Giveaways! Consumers can expect cash, cash and more cash! SHAH ALAM, December 9, 2013 – With the Year of the Snake making way for renewed hopes of good fortune in the Year of the Wood Horse, Carlsberg is charging boldly into the new lunar year with fresh promise of success and prosperity for its consumers. 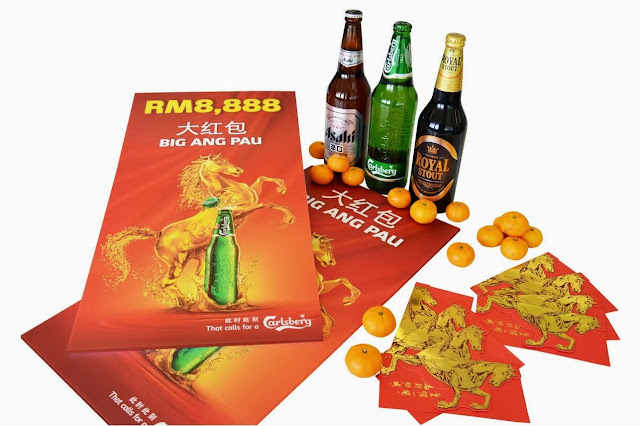 As a symbol of the magnificent steed set to usher in the year, Carlsberg is is spreading good fortune with its cash abundant Chinese New Year promotional campaign that will see more than 80,000 prizes in cash and other giveaways going into the hands of lucky Carlsberg consumers. As part of the exciting campaign kicking off on December 16, there are 30 cash prizes in tier 1 worth RM8,888 which will go to each of the lucky consumers who find a rearing Carlsberg horse image with an ‘A’ on the bottle cap liner from either a large bottle of Carlsberg, Asahi Super Dry or Danish Royal Stout at participating restaurants, food courts, hawker centres and coffee shops. Carlsberg brings more festive cheer when consumers find a ‘B’ on the bottle cap liner. This time RM388 goes to each winner from a pool of 3,000 such prizes comprising tier 2. In addition, lucky consumers who collect 3 bottle caps with ‘Z’ on the liner will get a chance to win RM888 merely by answering one simple question and signing Carlsberg creatively on contest forms. Consumers who spend above RM88 in a single receipt at selected outlets will also receive contest forms, putting them in the running to win more cash prizes worth RM888 each by completing the form and submitting it with their receipt. Cash isn’t the only thing that consumers stand to win. Each contest form, also comes with the opportunity to bag fortnightly bonus prizes in the form of LED televisions courtesy of Carlsberg. Consumers are advised to submit their contest forms sooner rather than later to stand a greater chance of winning. Discover a ‘C’ on the bottle cap liner? This will net 80,000 lucky winners a small bottle of Asahi Super Dry with which to toast the success and prosperity of their families and loved ones. To redeem cash prizes from Carlsberg’s consumer promotion, consumers with ‘A’ or ‘B’ bottle cap liners can call the respective redemption centres, details of which can be found at participating outlets. ‘C’ bottle caps liners with the horse image can be redeemed immediately at participating outlets, where contest forms are also readily available. “The 2014 CNY consumer promotion will see Carlsberg delivering even greater consumer satisfaction as we set the pace going into the Year of the Horse. What’s more, Carlsberg brings family and friends closer in the spirit of togetherness at festive gatherings, while building stronger ties. Now that calls for a Carlsberg!” Andersen concluded.